Apr 04, 2017: PEMCO World Air Services (PEMCO), the global leader in Boeing 737 passenger-to-freighter aircraft conversions, has entered into an agreement with South Korea’s all-cargo airline Air Incheon for the P-to-F conversion of one B737-400 aircraft (MSN 25857). “We chose PEMCO to expand our fleet based on our experience with its B737-400 aircraft conversions,” said YK Park, president and founder of Air Incheon. 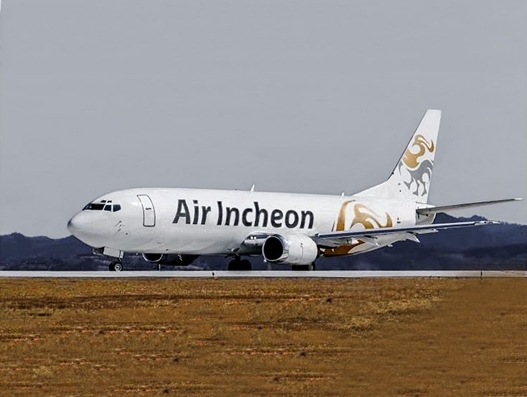 Air Incheon’s B737-400 PEMCO-converted aircraft features a custom cargo loading system, up to 48,000 pounds of payload, and 4,600 cubic feet of total volume under PEMCO’s supplemental type certificate. The optimised centre of gravity of PEMCO’s B737-400 freighter yields the highest possible usable payload and retains maximum best-in-class fuel efficiency for unbeatable range and operating economics. PEMCO’s 60-plus customers select the company’s passenger-to-freighter conversion for its superior cargo door and system, operating functions, on-time turnaround, and a track record of 2 million hours of safe, reliable operation. Air Incheon specialises in perishables, machinery, and dangerous goods. The company is highly focused on serving the Russia Far East market, in addition to local routes to Japan, China, and Mongolia.